The Watchery found the pot of gold at the end of the rainbow this week at the St. Patrick's Day Event. The Watchery, a high-end online retailer of luxury watches and designer watches, achieved great success this past week as they cut the price of an extensive selection of womens and mens watches for their St. Patrick’s Day sale. The week-long sale brought about enormous bargains on an extensive collection of luxury brand watches with Movado leading the way. With 100 luxury designer watch brands available at The Watchery, there is something for shoppers with all levels of taste: from sophisticated and simple to elegant and elaborate (and everything in between). What’s more, consumers can shop The Watchery’s expansive watch collection with peace of mind since all of the designer watches—each and every timepiece—is 100% brand new and authentic, with serial numbers when available. It’s true that several websites across the globe claim "original luxury brand watches" at a discount but none can deliver discount designer watches like classic Movado watches at The Watchery. As TheWatchery.com always strives to offer the best watches for men and women, executives were thrilled that the St. Patrick's Day week-long sales event was a record-breaking week for March. And with luxury brand watches discounted by as much as 91% off the suggested retail price, it’s really no wonder—savings this low don’t come around very often. In addition, with hundreds of best-selling designer watch brands included in the sale, such as mens Invicta, discount UBoat watches, men’s Stuhrling watches, Movado watches for women, Swiss Legend and Lucien Piccard, there really was something for everyone. Next week brings a continuation of the St. Patrick's Day celebration with the arrival of the Spring Into Savings Event. As the temperature gets warmer and the days get longer, The Watchery is Springing into Savings with a week of discounts as low as 88% off discount designer watches. Shoppers will enjoy fresh new spring markdowns on hundreds of hand-selected favorite styles. Eager to do a little spring cleaning (and make way for new collections of luxury brand watches), The Watchery is marking down some of the most popular designer watches to refreshingly low prices. 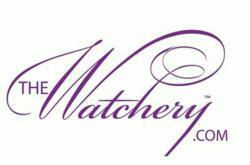 To bring shoppers an even better bargain, The Watchery offers free shipping on all discount watches 365 days a year. And if that weren’t enough to entice shoppers, The Watchery includes a satisfaction guarantee plus a 30-day money back guarantee with every purchase of a discount designer watch. Though renowned for their seasonal sales, each and every day brings new and surprising savings on The Watchery's vast selection of luxury brand watches: site-wide flash sales, featured watch sale and Last-Minute Luxury for Less Sale in addition to the holiday promotions and seasonal clearance events. Shoppers are therefore urged to check back regularly in order to keep up with all the savings on discount designer watches.